Freshwater or Johnston Crocodiles (Crocodylus johnstoni) are common in the Kimberley and across all of northern Australia. Freshwater Crocodiles live mostly in the upstream areas of rivers and in lakes, swamps and billabongs. They could live in saltwater. The reason that they aren't found in tidal waters is that the bigger and aggressive saltwater crocodiles don't tolerate "Freshies". A good place to see wild freshwater crocodiles in the Kimberley is Windjana Gorge. Freshwater crocodiles are small. Females grow to about 2m, males can reach up to 3m, but it takes them 30 years to reach that size. Most of them are a lot smaller. Freshwater crocodiles breed in the dry season, from July to September. The females dig holes in sandy river banks and lay about a dozen eggs. They don't guard the nest like saltwater crocodiles do, but they do return when the young crocodiles hatch. The also carry their young to the water and keep an eye on them for a while, but nowhere near as long as a saltwater crocodile would. Freshies aren't aggressive, rather shy, but if disturbed during the breeding season or if they feel threatened they may attack. Their teeth are razor sharp and they can inflict serious wounds. 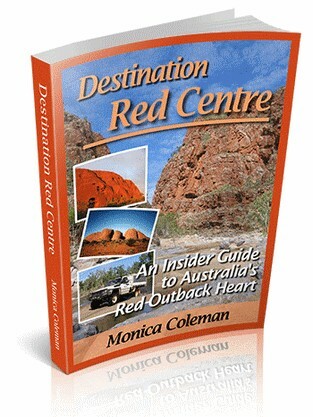 shows you how to make the most of your adventure at Australia's last frontier. Destination Top End offers the same comprehensive, detailed insider information for the tropical regions of the Northern Territory. Read about saltwater crocodiles and how to be crocodile safe in the Kimberley. Get free travel tips, Kimberley news, Travel Guide updates, and a free copy of The Kimberley Pocket Guide! Packing for a Kimberley camping trip? Travelling the Kimberley with dogs? End of the Kimberley Wet Season? Broome and Cable Beach for two weeks? Off-road caravans on the Gibb River Road? Main Points of interest on Gibb River Road? This site uses British English, as that is what Australians use.